Take a look around at most of the teenagers you know. Chances are, their lives revolve around their friends, school, and the internet. Forging a very real connection with nature and championing the cause of conservation might not register as typical teenaged concerns, but that’s exactly what’s driven Sitara Karthikeyan for the past four years. 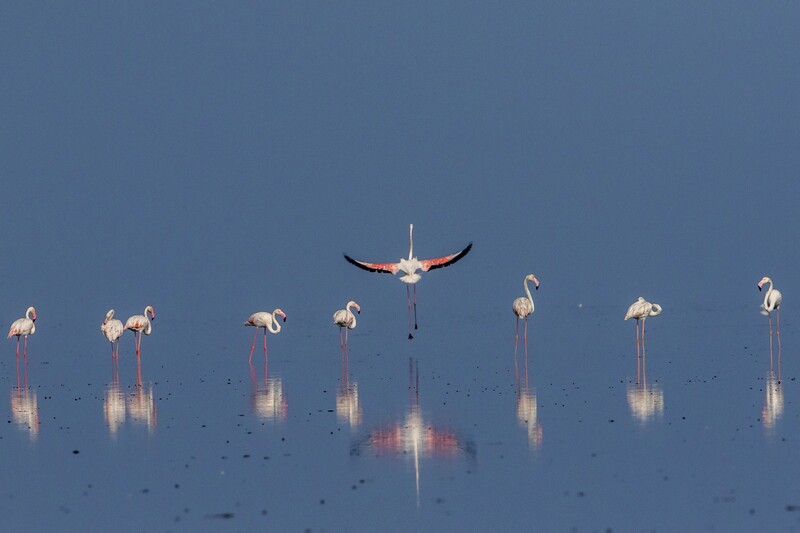 At just 14, Karthikeyan has won several accolades for her wildlife photography, including at the BBC Wildlife Photographer of the Year, Windland Smith Rice International and DJ Memorial Photography Awards. 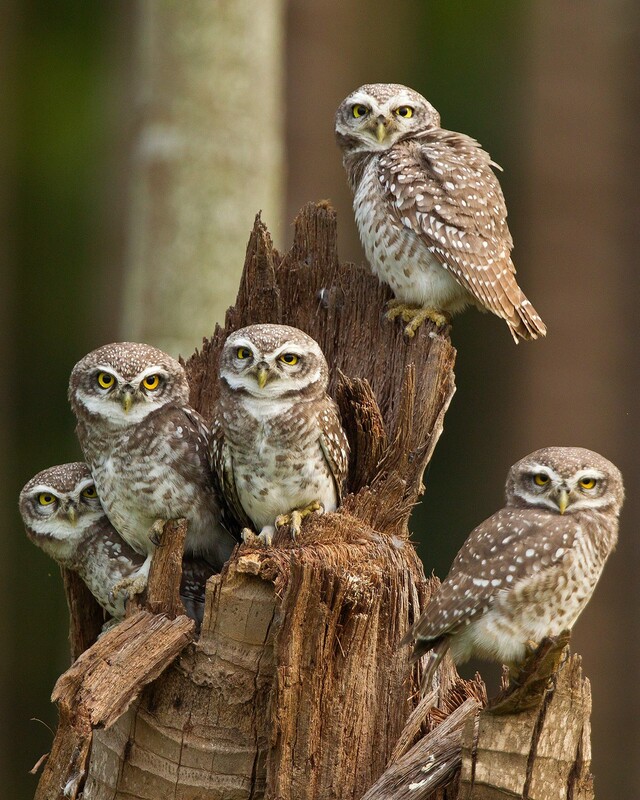 Today, she’s probably best known for her striking image of five owlets for which she was selected as one of the finalists at the NHM Wildlife Photographer of the Year Awards in 2014 (in the 11-14 age category). 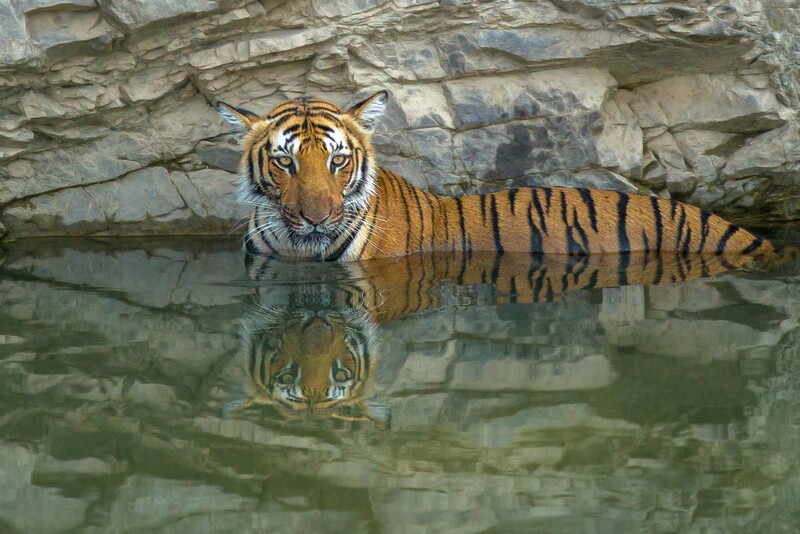 Earlier this year, she spoke about her experiences in the Corbett Tiger Reserve at the Nature inFocus Festival in Bangalore. 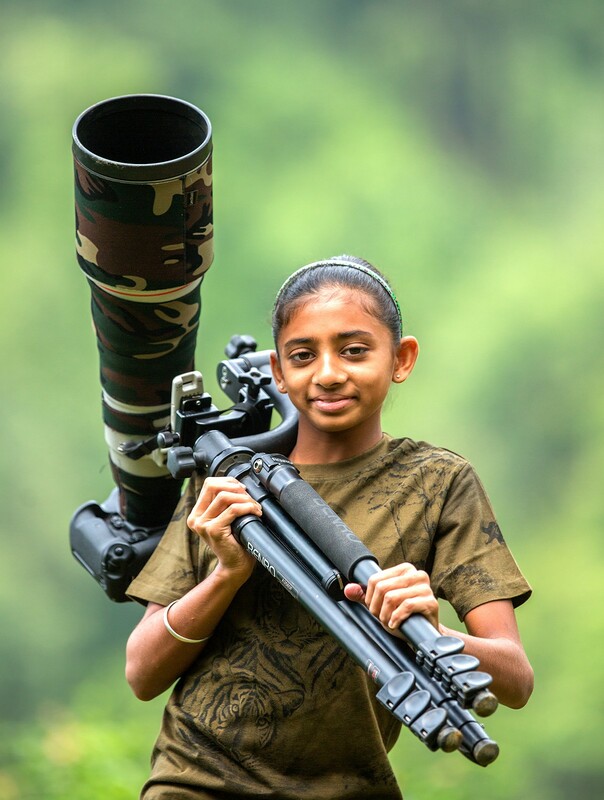 Not just content to stay behind the lens, the young photographer is also actively involved in conservation efforts around her home in Sethumadai, Pollachi, at the foothills of the Anamalai Tiger Reserve in Tamil Nadu. We spoke to her about what she’s learned from her journey documenting the wild so far, what inspires her every day, and her efforts at protecting the environment she lives in. Read on. 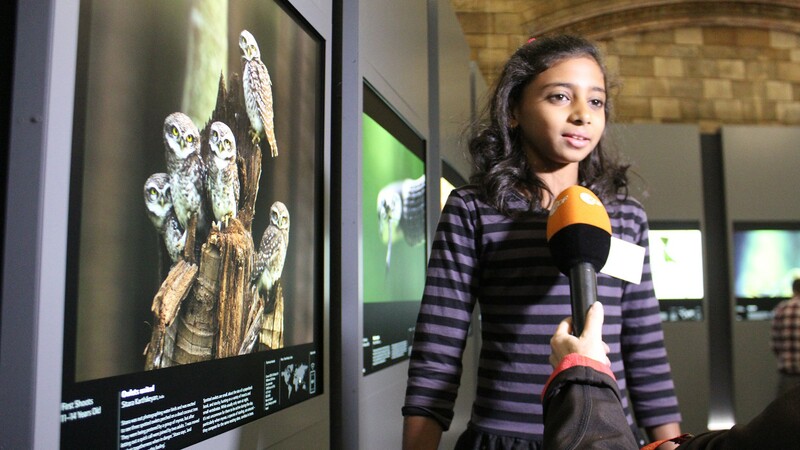 Tell us the story behind your award-winning image of the owlets. I had actually gone out that day intending to photograph water birds at a small lake near my home. When we got there, I noticed a couple of owlets perched on a stump on the other side of the lake, and I decided to focus on them. I noticed three of them initially, and slowly it became apparent there were in fact five of them, but just one or two of would be visible at a time. I tried to get closer, and my equipment was starting to feel very heavy and the terrain was uneven as well. I decided to leave the tripod and go ahead with the lens handheld. That’s when I saw a group of mynas mobbing the owlets. Just then, one of the owlets let out a shrill cry. All five of them stood their ground and I got this shot. I was fascinated by their togetherness in this frame. I was so glad I got this image because it came after a wait of almost four hours, and nearly 2000 shots. I was just so happy to have my patience rewarded. How does your family feel about your interest in wildlife photography? It must be an unusual interest for someone of your age. My father and uncle are both wildlife photographers so I did not have any issues taking up wildlife photography as a hobby. My parents are very encouraging and support me – in fact, they accompany me on almost every trip. When I first became interested in this field six years ago, there were not many people my age connected with wildlife and conservation, but now I see more people getting interested. And more importantly, many of my friends have started caring for the environment. Our school is near the Velliangiri Hills, and we regularly do clean-up drives there. Also, my schoolmates and I gave up crackers completely on Diwali. Who, or what, inspired you to take up wildlife photography? My uncle, Prakash Ramakrishnan, is one of my main inspirations. He has dedicated his whole life to wildlife photography. In fact, he spends most of his time in sanctuaries, and keeps telling me stories about all this trips. I think he knows all the tigers in all the national parks. I always listen with awe to all his stories. My father, Arul Karthikeyan, has always encouraged my interest in this field. He has also been a wildlife photographer for nearly 20 years – he spent three years studying black eagles as part of his ornithology research. I have had the opportunity to interact and travel with Shivang Mehta, and of course, the images he creates inspire me too. Recently, you’ve been involved in local conservation efforts too. We hear that you’ve been helping keep the forests around your home clean. Could you tell us more about this? I study in a boarding school, but when I come home to Sethumadai for the holidays, I drive up to the Anamalai Tiger Reserve almost every day. It is very disheartening to see plastics thrown all along the side of the road by irresponsible tourists. I am worried about wild animals consuming them. I try to avoid the use of plastic as far as possible, even in my home. And whenever I drive up to the sanctuary I always carry a gunnysack in the car and pick up as much garbage and plastic as possible. I have been talking to the people in the check post as well, and encouraging them to educate the tourists who visit the sanctuary about what harm plastics can do to wild animals. I have seen them informing tourists, but often, it has little effect. You and your older brother, Agasthya Karthikeyan, were selected by the International League of Conservation Photographers to represent India at Wildspeak in November 2017. 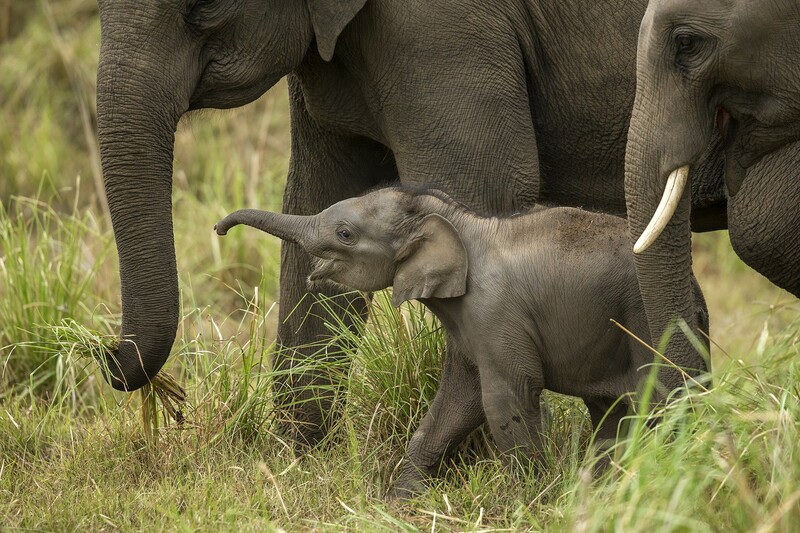 The event brings together photographers, scientists, and conservation organisations to share ideas and debate on wildlife and conservation issues. What are the key conservation challenges you’re planning to discuss at the forum? It is indeed a great privilege to be chosen by the International League of Conservation Photographer (ILCP). A photograph can say a lot – I believe the message of conservation can be more powerfully conveyed by a single image than by many words written down. I think one of the key conservation challenges in our country today is the littering of wildlife sanctuaries. Tourists lack education on how to keep the wildlife parks clean. Another menace is the feeding of wild animals by the tourists. This triggers many accidents where the wild animals get used to being fed by tourists, and start to roam around the roads, which leads to many of them being killed by vehicles on the highway. I feel educating children about these issues will have a great impact. There should be conservation workshops at school – children should be taken to sanctuaries for a hands-on education as well. Sitara Karthikeyan showcased her work at the Nature inFocus Festival, 2017. If you missed it, or would like to listen to her talk about wildlife photography, here it is.